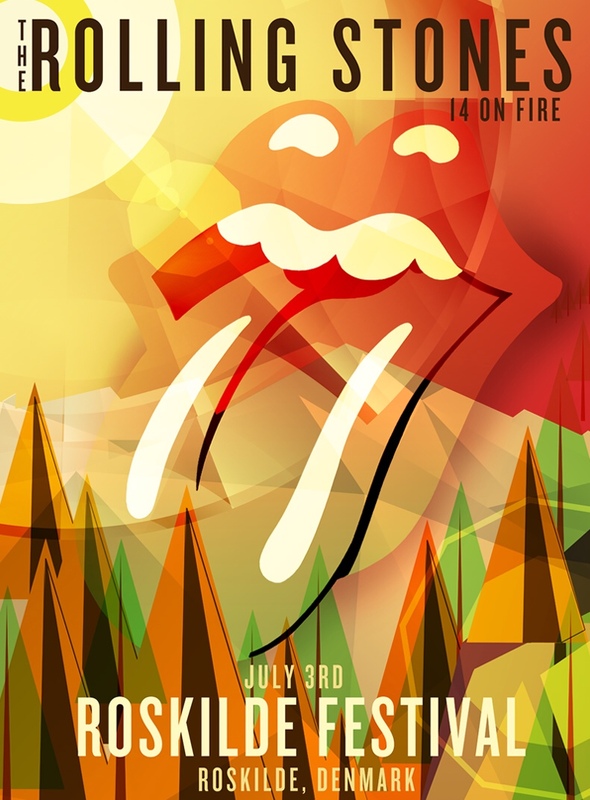 This thread is for live updates and comments regarding The Rolling Stones show in Roskilde, Denmark 3 July 2014. Please tell us your pre- and post-show thoughts and comments here. Meet up at the Biergarten? I may not speek the language but even I know what that means! SO WISH I WAS WITH YOU ALL! Hope y'all have a great time aat the show! We'll be following y'all from the sidelines! Enjoy the show DP, BV and everyone else that's going. I'll raise a pint to you from over here in Canada. Have a rockin' good time tonite you lucky ones! Deliver me from the days of old"
Edited 1 time(s). Last edit at 2014-07-03 15:17 by 1962. Yes, it's the last one of the "14 on Fire in Europe" tour, everyone enjoy it, on location and at home! I've been following all the great shows this leg and can't believe my Philly #2 show in the front row was over a year ago!! Hoping somehow someway they make new album and do the major US Cities One Last Time! Not sure how things are in Roskilde right now, but it's blowing a gale and raining lightly in dreary Copenhagen as of 3:45 pm local time. To those goin, have a great time and stay safe. Making some pancakes and coffee, enjoying reading the updates. Hope everyone has an amazing time! Bring on October! Yeah, have a good time. And don't forget to enjoy the beautiful Danish women, tasty smörrebröd and Tuborg beers and maybe even a gammeldansk! Der er et yndigt land! Have fun tonight those who are going! Last show of the European tour! I'm heading out soon for an early evening drink and look forward to the updates later. Yes, have a great one everybody. I've got the feeling the stones play better in front of a festival crowd these days (Glastonbury, Pinkpop). P.S. TW Classic (Werchter) isn't a festival. It was a Stones gig with a lot of support acts. Greetings from Malmo, south of Sweden STONEthrow away from Denmark/Roskilde, hoped my plane would be delayed but I'm on my way to the airport for the trip back home. Have a fantastic time everyone there for the final blowout, Europe has been amazing. I'll have a Stockholm video for you tomorrow, will be putting the final touches on the plane. share,just good feelings for everyone who see`s them tonight, for the stones themeself in glorious form, for the best tour in years. just as dylan said "may your heart always be joyful, may your song always be sung, may you stay forever young!" Both courtesy of Big Boi of Outkast. First picture is great!!! What song were they playing? See Keith in the backgroud! Second picture not so, what an arrogant unsympathetic loosers are standing left and right of Mick? With an air of "I am so cool" ....NOT. If you're asking who they are, the answer is in the post by KDL that you are quoting. Edited 1 time(s). Last edit at 2014-07-03 20:26 by Beast. Agreed...and read some of the comments. Very disturbing imo. YCAGWYW - the lines about the demonstration. Man, I should of just stayed in Europe for the duration of the tour. You will find the answer in the post by KDL that you are quoting! I did read it, but am not interessed in such people. Why remember their names? Just controle-alt-delete on first sight. Thanks Green Lady! How do you know? Did they play more? That first link is a very brief video - two tiny snippets of YCAGWYW.